After a week in Hanoi, it was time to resume my road trip. My plan was to ride back to Saigon and sell my motorbike. But I also wanted to see Laos, which is said to have phenomenal motorbiking opportunities. I figured I’d take a detour and head back via Laos. Going trough Laos is pretty far out of the way. That, and the crazy weather I encountered pushed me past my breaking point. I wasn’t enjoying beautiful, rural Laos as much as I should have. Making matters worse, even after riding all the way to the extreme South of Laos, once I re-entered Vietnam I would still have a week of riding (or a long train ride) until I returned to Saigon. So I ended up selling my motorbike in Southern Laos, and finishing up on buses. Here’s what was on my itinerary. Mai Chau – Beautiful rice fields among limestone mountains. Pu Luong Nature Reserve – Get off the beaten track to stay in traditional villages. Vieng Xay – See the cave cities Lao people took refuge in during America’s secret nine year bombing campaign. Nong Khiaw – A tiny village in a beautiful setting on a river next to limestone mountains. Luang Prabang – Cultural capital of Laos. Temples, monks, and French colonial architecture. Phonsavan – A side trip to see the mysterious Plain of Jars. Vang Vieng – Horrible, overdeveloped backpacker mecca with beautiful scenery outside of town. Vientiane – The sleepy capital of Laos. Savannakhet – A sleepy river city with some French colonial architecture. 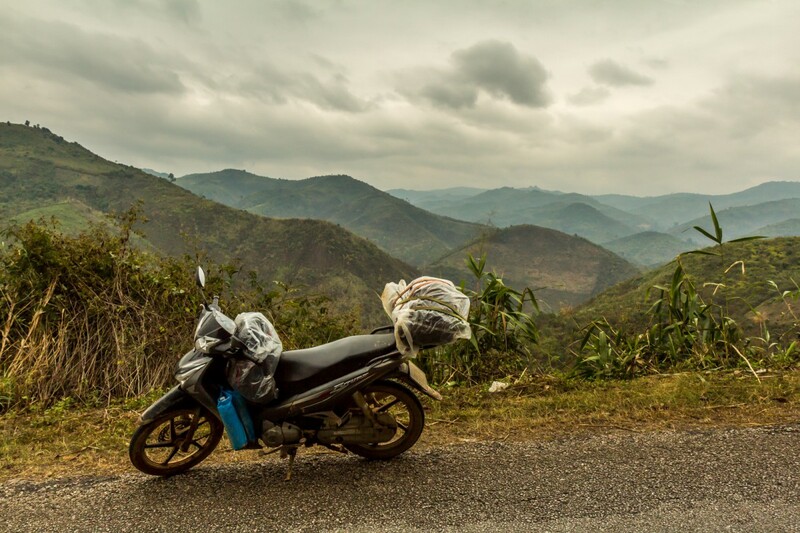 Pakse – Laos’ big Southern city, and my best chance to sell my motorbike. Si Phan Don – Without my motorbike, I took a bus down to the scenic and laid-back 4,000 Islands of the Mekong. Champasak – My final stop, to visit UNESCO World Heritage Khmer temple ruins on a mountain. Stay tuned for my journals on the final leg of my motorbike trip around South East Asia. « Saigon To Hanoi: Mission Accomplished! ← Saigon To Hanoi: Mission Accomplished!